I hope you all either had, or gave, a lovely Mother's Day! My peeps treated me like the proverbial queen, and we feasted on deliciousness, which is really prerequisite to a good day, isn't it? Well, for me, anyway. The mister always makes an amazing breakfast (smoked salmon...mimosas...two of my very favorite things! ), and then we get together with my Mom, and feast some more. This year we were hoping to picnic, but alas, the weather is what it is, and we had to stay indoors for an Afternoon Tea. (Pronounced: Ah-ftahnoon Tea, Dahling.) Something my mom loves. Vegetable tea sandwiches, scones, and lemon muffins. Perfect. 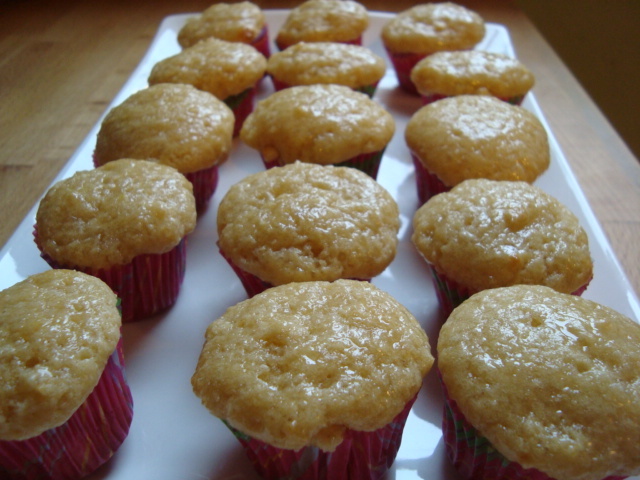 These lemon sour cream muffins were a serious treat! 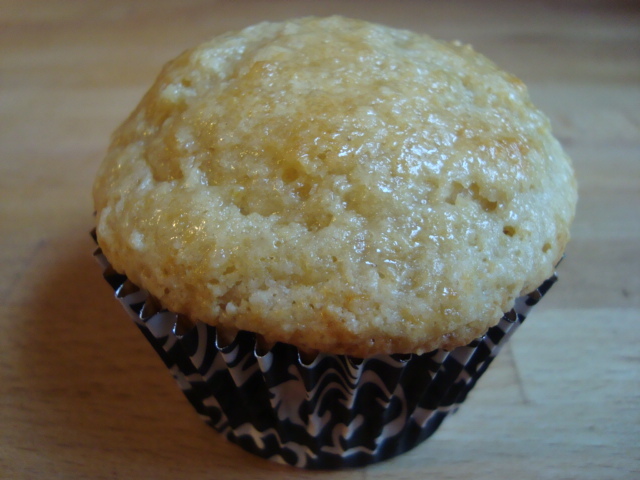 Light, fluffy, a kiss of lemon, just a hint of sweet...the perfectly balanced muffin. If you do nothing else on the computer today...visit Dana Treat for the recipe. It is simply marvelous. Dana says that the recipe makes 12 large, or 18 standard size muffins. Either I underfilled my cups (nah! ), or my muffin pans, from when we lived in New Zealand, are smaller than average US sized ones. Anyway, I ended up with 18 pseudo-standard muffins, and 15 mini muffins. Which seemed just right! Have a great day. And go make some muffins!